1. Get rid of old clothes – want to make room in your closet for all those new clothes you have been eyeing up? Donate (I love giving to my two sisters), sell or simply toss out those old clothes to make room! 2. 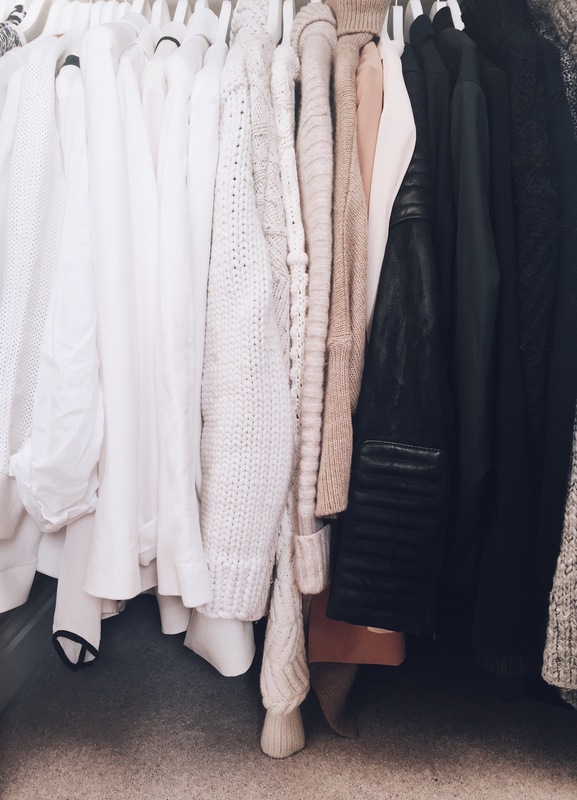 De-clutter your closet – organise by colour – when it comes to organising my wardrobe I like to colour code for the simple reason that I can find what I’m looking for dependant on my mood! Tops – if you have space, try and hang your tops as the more you can see hanging in your wardrobe the more you will wear them! Jeans – I like to hang my jeans and I tend to organise them by colour but you may want to do it by brand, style, size or cut. Knitwear – should be folded as to not loose their shape when hanging and I love to colour code when organising knitwear and sweaters. 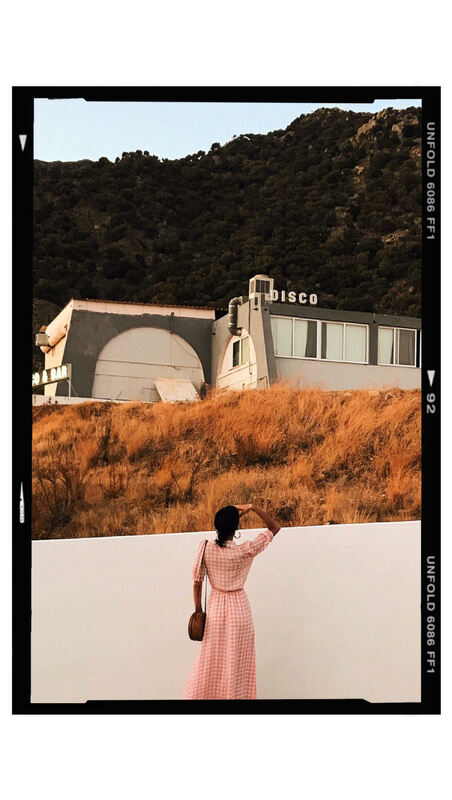 Shoes – I like to organise my shoes by colour but have the odd print and colour mixed to make it a visual impact when I enter my closet as this is the main feature to my walk in wardrobe that people will see. 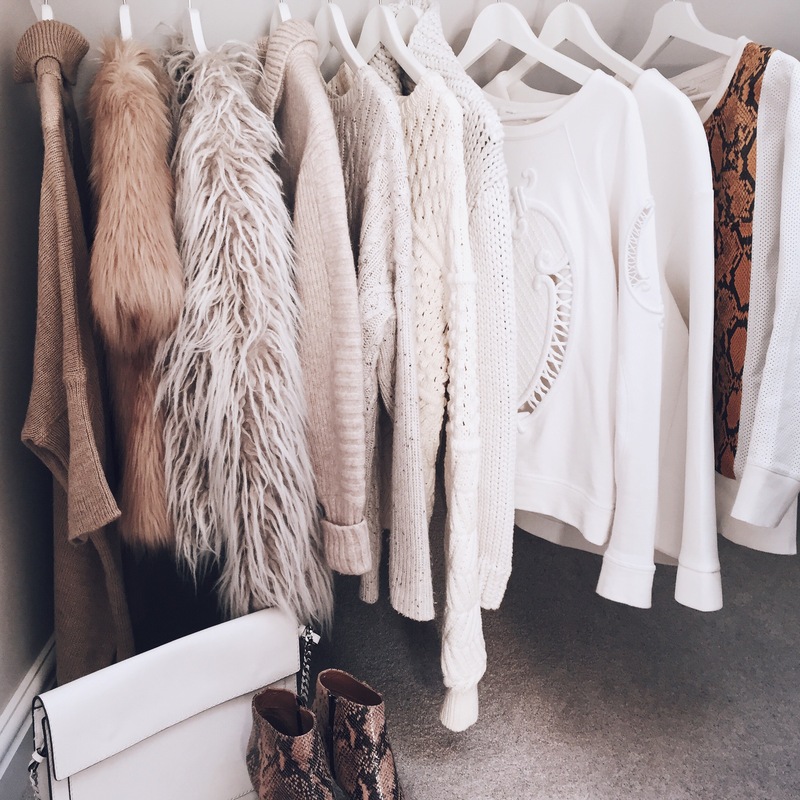 Let me know if you have any good tips to organising a beautiful wardrobe. I’ve noticed that my jumpers have become loose around the shoulders, from hanging. Not sure I will do that anymore, great tips, great post. 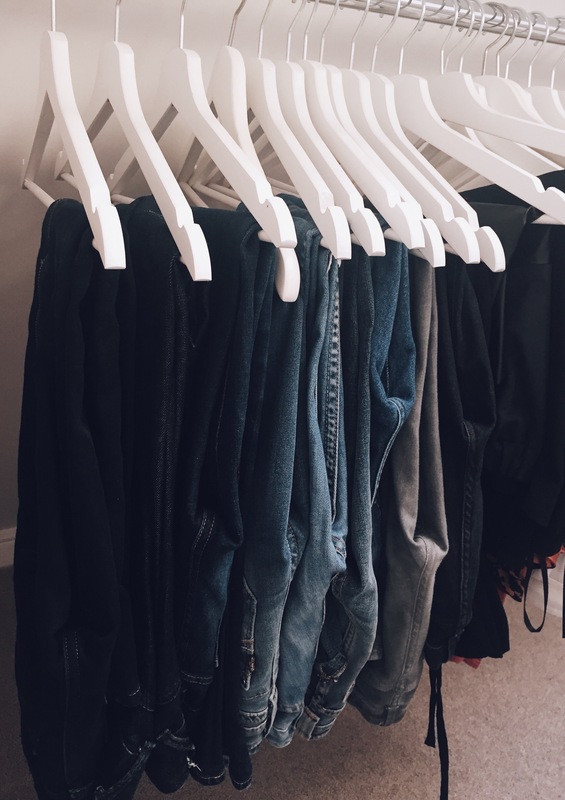 I loved reading this, i’m always looking for new and better ways to organize my closet! I especially loved the part about folding the sweaters- i’m definitely trying this!